If you’re like most online daters, then you’re probably tired of attracting the wrong attention with your online dating profile. Or, perhaps your profile isn’t getting any attention at all. No matter what your situation is, we know how easy it can be to become discouraged about online dating. 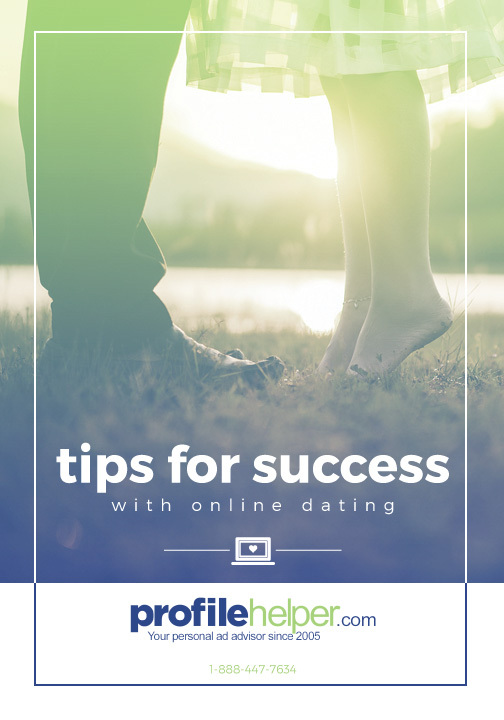 This easy-to-read, no-nonsense eBook from ProfileHelper’s professional online dating coaches is chock-full of tips that will increase your confidence and help you attract the people you’re looking for. Online dating success starts with your profile. If you want to attract the right person, then you have to appeal to that type of person with a good profile template. You need to have plenty of high-quality pictures that showcase your personality in a fun and exciting way. You need to be active online making the time to search for matches — the man or woman of your dreams is not going to simply fall into your lap. Online dating doesn’t have to be difficult when you have online dating advice from professionals on your side! If you’re ready to begin feeling optimistic about your love life, then fill out the form below to get your copy of our eBook in your inbox instantly!